If you’re feeling self conscious about a long face shape, getting the right haircut can drastically change the way you see your face. 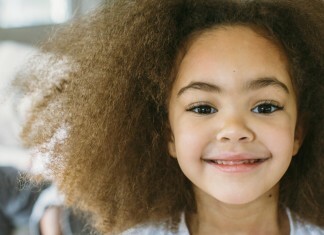 The key things to look for are styles that have more volume near the sides of your face than on top of your head, which will make cheeks look wider. 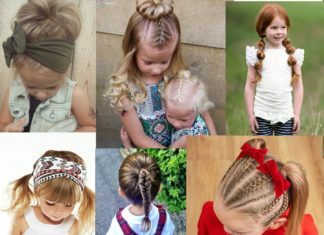 Many types of bangs, from long and side swept to blunt bangs at brow level will also make your face look shorter by concealing your forehead. With so many options of hairstyles to flatter your long face shape, we’ve compiled our 20 favourites to help narrow down your search. Model Rosie Huntington-Whiteley’s blonde style pictured here is the perfect mid-length option for flattering long faces. Layers give hair body and fullness that widen the appearance of the face, while a deep side part sweeps a bang across the forehead. 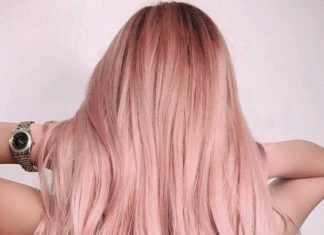 For women with longer faces who are in love with mermaid locks, wearing hair with some texture is the best way to prevent your face from being elongated. Blunt bangs that hit just below the brow are the perfect addition to this look, because they conceal the forehead, therefore shortening the face and emphasizing the eyes. By covering part of the forehead and adding volume at the sides of the face, these long, centre-parted bangs help flatter long face shapes even when hair is tied back in a ponytail. 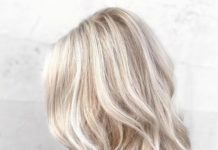 This long style keeps hair relatively flat at the crown of the head to avoid adding length to the face, but uses waves to create volume throughout the rest of the hair. If blunt bangs are too much work for you, try these texturized bangs that land below brow level, shortening the face and creating a rounded silhouette thanks to gradual lengthening at the sides. This chic bob is styled with curls that begin several inches below the roots, adding volume and bounce without making your face appear longer. These side swept bangs are slightly shorter than what’s usually recommended for women with longer faces, but the deep side part keeps them flattering. Layers generally help to widen the appearance of the face, and the outward flick seen styled here adds an extra visual cue to draw the eye in a horizontal direction. By cutting some long layers into thick, medium length hair, your naturally long face will look fuller at the cheeks. 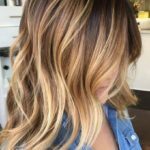 Subtle face framing highlights help add to the effect, and are a better choice than ombre colour that draws the eye downwards. Hair that’s cut shorter than bob length can be difficult when flattering long faces, as it’s harder to create the illusion of width at cheek level. 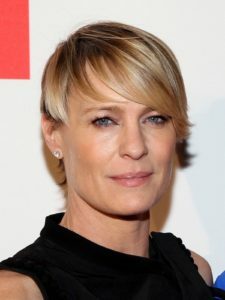 If you’re set on trying a pixie cut, we’d recommend going for this sophisticated style that has enough length in the front pieces to sweep over the forehead, and avoid styling hair so that’s slicked down at the sides. Kept at a fairly uniform length all around, some texturizing at the ends and a side swept bang give this haircut a round shape that creates the same illusion in the face. If you’ve got a long face, and you want to wear your hair long with no bangs, face framing curls are a must. Sarah Jessica Parker styles her long hair with volumizing curls that begin around cheek level, instantly widening her face, while highlights add an extra pop. Leave it to a southern girl like Carrie Underwood to wear collarbone length hair like she’s the belle of the ball. These bouncy layers are both glamorous and fun, and this is one of the best bang-free ways to balance out an oblong face. 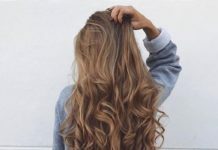 For women with thick hair and a longer face shape, this wavy style with a deep side part makes a very flattering and surprisingly low maintenance choice. 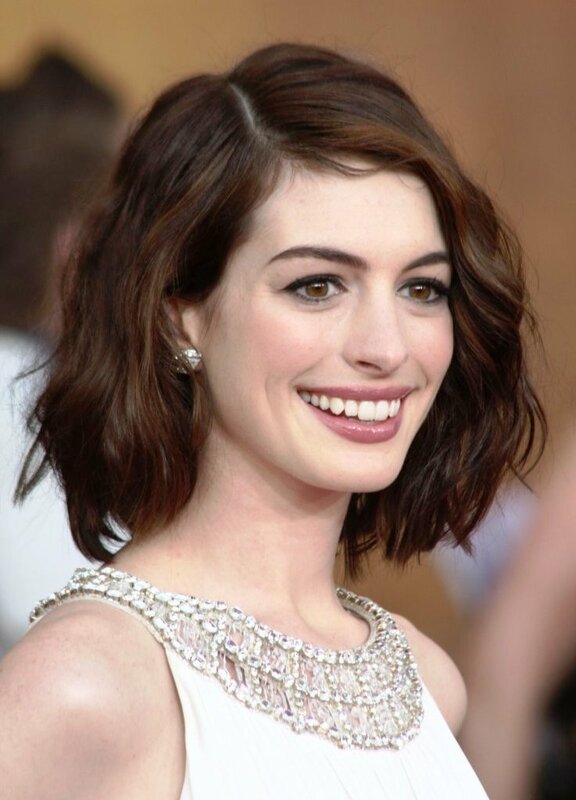 While Anne Hathaway is dressing up the look here, this hairstyle translates beautifully to everyday wear. 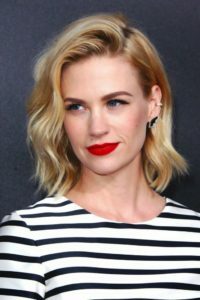 One of the best styles for rounding off facial features, this chin length bob uses retro waves and dimensional colour to draw the eye out at the cheeks. 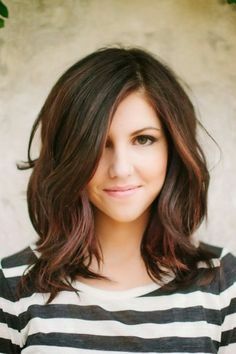 If you like a chin length bob without any waves, try this straight style with textured ends that create a round shape, and side sweeping bangs to conceal some of the forehead. 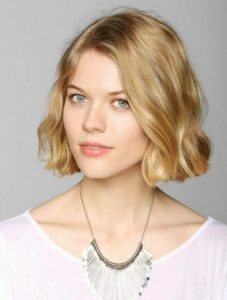 For a more casual and easier to style haircut than the chin length bob, try this slightly longer style. 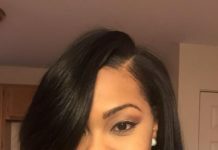 The long bang in front helps to draw the eye to the cheeks, but doesn’t need to be blowdried and flat ironed every morning. The lob haircut with long layers that everyone’s after isn’t off limits if you have an oblong face, just aim to add curls and waves rather than styling hair flat. 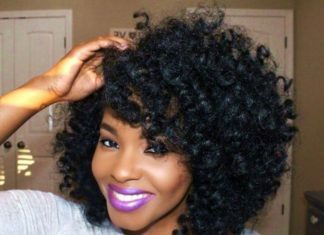 If you feel less interested in adding curls and waves to your lob, or your curls are in a flatter next-day style, move your part to one side to create the instant illusion of wider cheeks. This shorter style does a wonderful job of balancing out a long face thanks to curled hair drawn across the forehead in a deep side part. 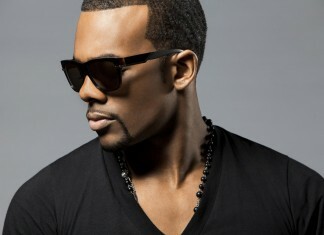 A blunt, chin length cut that’s worn in curls tends to create a triangle shape that some women avoid. As long as you aren’t trying to minimize a square jaw, this triangle frame will help to reshape your face, and is gaining popularity as a retro-inspired trend. These springy curls land at chin length to create a bold, vintage feel while adding the appearance of fullness at the cheeks.